There are 17 seminar rooms on Level 2 of the Albukhary building, equipped with audio-visual facilities, to hold trainings, presentations and workshops. Varying in size, these rooms can accommodate up to 80 participants. More details of the venues available, and their prices, plus available menus and potted plants for rent, are available here. For event booking or further information, please contact General Services & Administration Department (GSA) at +604-2180 333 ext. 316 / 322 / 300 or email to eventbooking@wou.edu.my. Wawasan Open University offers event organisers the opportunity to hold daytime and evening functions year round in a range of different venues within the Homestead heritage mansion and the 12-storey Albukhary tower building at competitive rental rates. The blend of the mansion's old world charm and the contemporary architecture of the tower creates memorable experiences for guests. The mansion offers elegant settings for dinners, launches and cocktail functions including The Hall, The Loft and The Galleria. 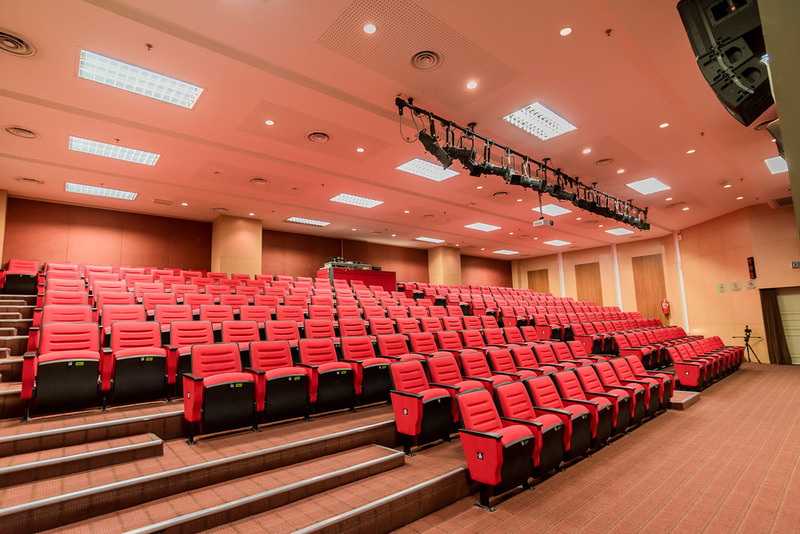 WOU’s fully equipped state-of-the-art theatres on the fifth floor of the tower can hold up to 400 people and are suitable for art performances, concerts, movie screenings, seminars and symposiums.